Imagine this: You drop your next big tune, and the crowd absolutely mental. You bask in the rapturous moment, maybe even throw a hand or two in the air and you're unashamed. You deserve to: That was your tune that you just played! 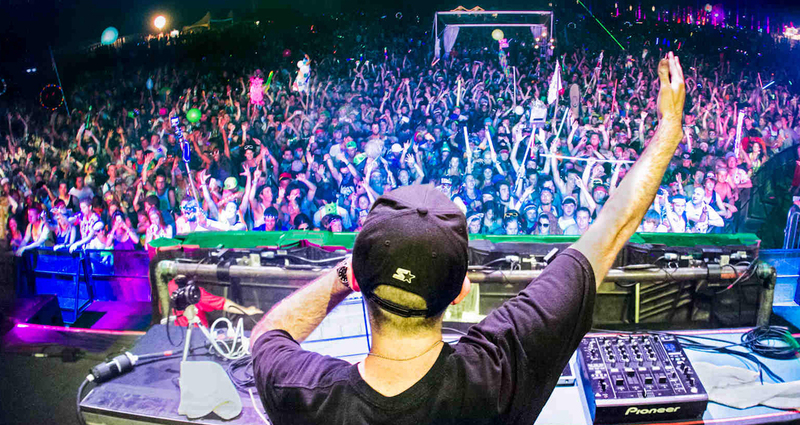 Picture this: You drop your next big tune, and the crowd goes absolutely mental. You bask in the rapturous moment, maybe even throw your hands in the air. You’re unashamed of this bit of cliché; you’re even quite proud. You deserve to do it, after all: That was your tune that you just played! 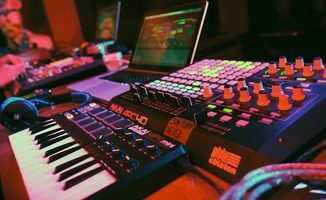 As the basics of DJing have become more and more accessible thanks to digital technology, and as DJ software and gear have started to resemble production systems to an extent, it’s no surprise that many a curious DJ wonders about getting into producing music. In today’s world, it’s the DJ/producers who get the global bookings, it’s the DJ/producers who grace the big festival stages, and it’s the DJ/producers who make the top 100s and the rich lists. Music production is a sought-after artistic process that commands the highest reaches of respect, and it’s no surprise: After all, DJing itself wouldn’t be possible without producers in the first place. Yet it remains an elusive skill, shrouded in mystery when really, it oughtn’t be, because as with so many things in life, it’s the first steps that are the hardest – and many people have a vested interest in stopping you learning how to do it. That’s what this free four-part video course is designed to help you with. While virtually all music used to be made in a recording studio up until the early 90s, a decade later powerful computer programs for creating music, called “digital audio workstations” (DAWs), had become the norm. These early DAWs were often criticised for not having the “warmth” and “soul” of analogue recording consoles and hardware (sound familiar, digital DJs? 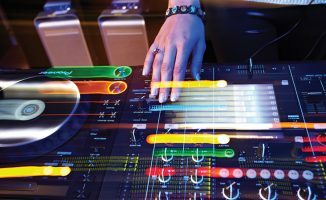 ), yet these days, they have evolved to a level where they are the recording platforms of choice for musicians, recording engineers… and DJ/producers. This is mainly because of the ease with which editing and recording can be done using DAWs, as well as for the convenience and cost-effectiveness of the using laptops to produce with. Nowadays, music production is accessible to more people than ever before. 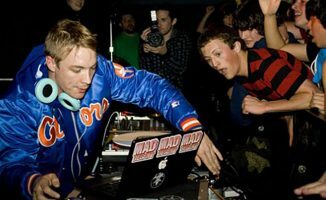 Almost all electronic dance music these days is made on a computer using DAW software like Ableton Live, and often with nothing more, apart from the occasional keyboard controller. Today, we start a four-part free video course designed to help any DJ produce their first song in one of the most popular DAWs, Ableton Live. We’re going to use the 30-day trial version of the software so you don’t have to shell out the hundreds of dollars it costs to buy as you work out if production might be for you; there will be one tutorial a week, and by the time the trial runs out, you’ll have your track! Now, to realistically get this done in four weeks, we’re going to need shortcuts, and the biggest shortcut you’ll take is basing your track on a “sound pack”, a professionally recorded collection of “parts” you can use to help you assemble your tune. 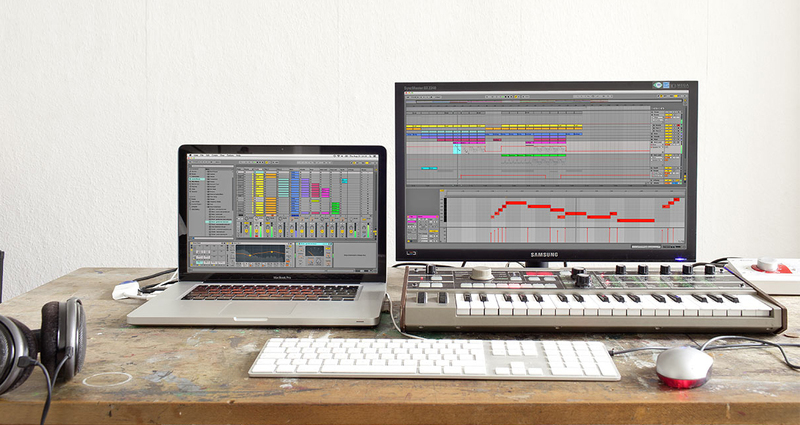 Whatever, at the end of this month-long session, you’ll have learned some fundamentals of working in Ableton Live, and have gained some confidence in navigating its rather daunting interface. You’ll also hopefully have a track that you put together yourself using samples as well as sounds from Ableton Live’s bank of synths and samples. Wouldn’t that make a cool Christmas gift to your DJ self? When I first got my hands on music production software 15 years ago, I thought I would never be able to make my own music because it just seemed so complicated: There’s just too many things to learn about, knobs to tweak, and music theory to discuss, and ultimately there was no one to show me the way. So coming into this short course, I wanted to create a streamlined training series that taught only the essentials that would yield maximum, practical results in order to inspire you to take the next step, and I wanted to make it accessible to as many people as possible (hence the use of free trial software and a relatively inexpensive sound pack). These learnings will be the same ones that you can use over and over again as you grow more knowledgeable in production in the future, and I believe them to be a solid foundation for you to build your chops on. So let’s dive right in, folks! Learn to make your own tracks quickly & easily to fast-track your journey to becoming a DJ/producer, with our revolutionary online video training course that shows you exactly how to make a dance track right from the very start. Watch the information video here. This course is being developed based on your feedback as we go along, so you have a chance to ask questions and influence the direction it takes as we continue. So feel free to ask away in the comments below, and give us your feedback and suggestions too! Over To You: How Do I Perform My Music Without Looking Boring? Your Questions: Do You Need To Be A Producer For DJing Success? It’s available forever, there’s no time limit on it. “This is not the only way to produce a track”, Well said. Joey – AWESOME first class! This is great stuff man! Just what I’ve been looking for. Thanks guys. The next one’s already live 🙂 there will be four videos in total, all out before Christmas day. I installed Ableton Live 9 the trial version, but in Music/Ableton I don’t see a User Library folder, but only Factory Packs and Live Recordings; should I be worried? Took a bit of time and getting some help from Ableton’s tech support. In the end, turns out that some folders from an earlier lite version of Live interfered with the creation of the User Library folder from the Live 9 Trial. I’m set now. Thank you for this. You gave me my hope back. Now let’s do something with this knowledge. Hey love the first part of this course, thanks for the great content, really got me fired up to get started with producing! The links to parts 2 and 3 are broken, can you fix them? Thanks guys!